In today’s telecommunication market, high-qualified cables are always sought by users to satisfy the increasing demands of greater bandwidth and the growing amount of data transmission. As a result, direct attach cables have been designed to meet these requirements. 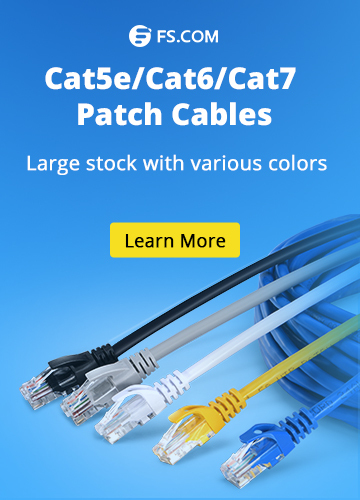 Maybe you are not familiar with them and can’t determine which kind of direct attach cable is applicable for your networking servers. There is no need to worry. This post will introduce direct attach cables in details. Direct attach cable (DAC), a kind of optical transceiver assembly, is a form of high speed cable with “transceivers” on either end used to connect switches to routers or servers. DACs are much cheaper than the regular optics, since the “transceivers” on both ends of DACs are not real optics and their components are without optical lasers. In storage area network, data center, and high-performance computing connectivity, they are preferable choice for their low cost, low power consumption and high performances. Direct attach cables can be divided into several types according to different standards. 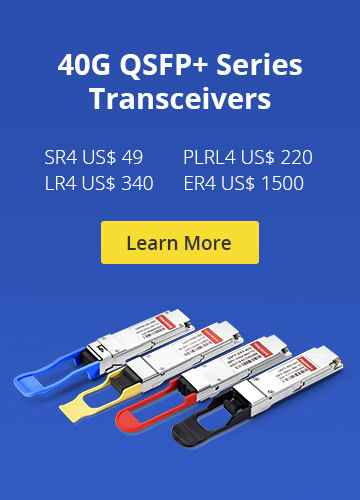 By Ethernet transmission rate and construction standard, 10G SFP+ cables, 40G QSFP+ cables, and 120G CXP cables are available. Classification according to the number of connectors is also feasible. Most DAC assemblies have one connector on each end of the cable, but there is a special kind of DAC assembly which may have 3 or 4 connectors on one end of the cable. Take QSFP+ to 4 SFP+ Passive Copper Direct Attach Breakout Cable for example, it features a single QSFP+ connector (SFF-8436) rated for 40-Gb/s on one end and 4 SFP+ connectors (SFF-8431), each rated for 10-Gb/s, on the other. Based on material of cables used, there are direct attach copper cables and active optical cables. Direct Attach Copper Cable—Direct attach copper cables are designed in either active or passive versions. The former provides signal processing electronics to avoid signal issue, thus to improve signal quality. What’s more, the former can transmit data over a longer distance than the latter which offers a direct electrical connection between corresponding cable ends. Nowadays, direct attach copper cables still have a place in market owing to their interchangeability, low cost and various data rates. Active Optical Cable—Active optical cable (AOC) is one form of DAC. It integrates multi-mode optical fiber, fiber optic transceivers, control chip and modules. It uses electrical-to-optical conversion on the cable ends to improve speed and distance performance of the cable while mating with electrical interface standard. Compared with direct attach copper cable, its smaller size, electromagnetic interference immunity, lower interconnection loss and longer transmission distance make it popular among consumers. Direct attach cables allow for greater bandwidth cost-effectively. As for which kind or kinds of DACs are suitable for network connectivity, it depends on specific situations. Fiberstore supplies above-mentioned high-qualified DACs. Also, DACs can be customized in Fiberstore to meet your different requirements. You can visit Fiberstore for more information about DACs. Direct Attach Cable, Fiber Optic Transceivers 10G SFP+ cables, 120G CXP cables, 40G QSFP+ cables, Active DAC, active optical cable, Direct attach copper cable, Passive DAC. permalink.